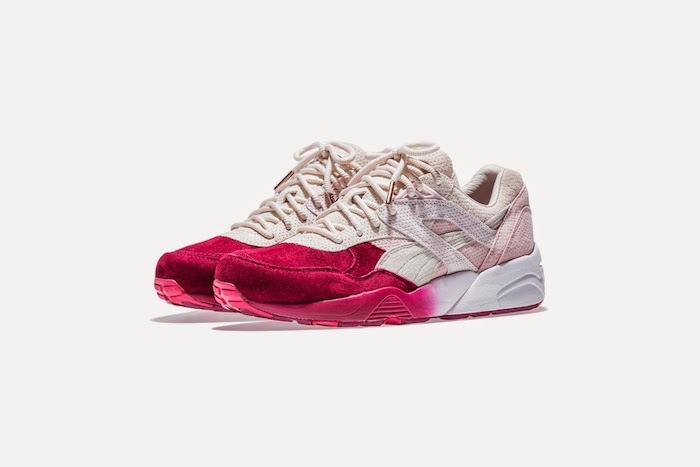 PUMA has unveiled the Sakura Project, its eagerly anticipated collaboration with one of the most established influencers in the world of sneakers, New Yorker Ronnie Fieg. Inspired by centuries old Japanese art and culture, Fieg has used Japanese Ornamental Cherry Blossom trees, Sakura in the design for this SS’15 collaboration, which lands in limited distribution and features two sneakers - PUMA’s hero silhouette from the Trinomic family, the R698, and the RF698 Mid. The R698 archive runner acknowledges PUMA’s performance heritage, but with updated execution of colour and materials the sneaker transforms into a modern classic and is a clear indication of what will be the focus silhouette for the coming season. The distinctive deep reds of the Cherry Trees are infused across the rich perforated suede of the toe as well as the midsole of the R698 and fade into lighter shades of pink, expressing the range of Sakura colours in nature. The RF698 Mid takes design DNA from its ‘little brother’ the RF698. This Mid Cut comes with a inner sock booty constructed in tech neoprene and is finished with a 3M covered strap and rich colours for the full effect of the Sakura. 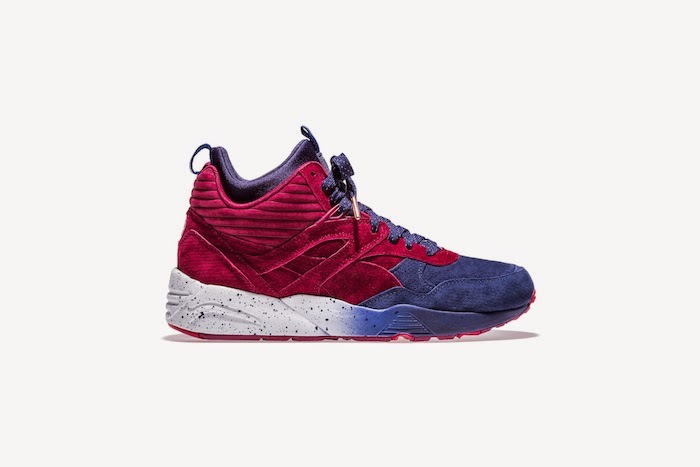 The PUMA x Ronnie Fieg Sakura Project collection will be available globally in April 2015.